What does Pranshu mean, details, origin, short & easy attributes? Meaning of Indian name: Pranshu. Meaning of the name Pranshu is 'Tall, Lord Vishnu'. Pranshu is a name of Hindu / Indian origin, and is commonly used for males. The name number for Pranshu is '7'. Click here to get the numerological analysis for the name 'Pranshu'. Pranshu is baby boy name mainly popular in Hindu religion and its main origin is Hindi. Pranshu name meanings is Tall, Lord Vishnu, High. People search this name as Pranshu. Pranshu is written in Hindi as प्रन्शु. Other similar sounding names can be Branesh, Parnashri, Praanshu, Pragnesh, Pranesh, Pranisha, Pranshi, Pranshul, Pranusha, Priansh, Priyansh, Priyanshi, Priyanshu. Each letter meanings in Pranshu Name. Popular personalities with Pranshu Name. 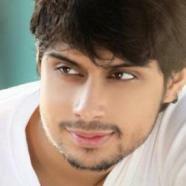 Pranshu was born on September 26th, 1989.